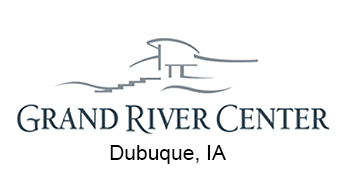 This nationally recognized conference addresses timely topics and attracts 500-600 participants each year. 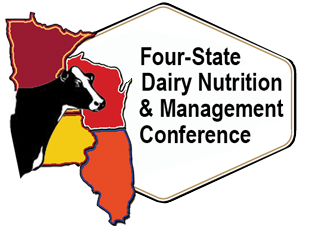 On behalf of the 4-State (IL, IA, MN, WI) Dairy Extension group, I encourage you to help with this year's sponsorship. Sponsorships from companies like yours keep the cost reasonable for participants. It is also valuable for participants to learn about your latest products. Thank you for your past support and we look forward to your continuing sponsorship this year. If you have never been a sponsor, please consider this opportunity to promote your company as well as to support this educational effort. Receive company recognition (by level) in brochures, proceedings and signage. This includes two free registrations with two proceedings and exhibit space for a tabletop display. Receive company recognition (by level) in brochures, proceedings and signage. This includes one free registration with one proceeding and exhibit space for a tabletop display. Receive company recognition (by level) in brochures, proceedings and signage. This includes one free registration with one proceeding. No exhibit space. New this year, platinum and gold sponsors will receive the attendee list for those attendees that agree to share their information. In addition, all gold or higher sponsors can place one item in the main plenary session room at each seating spot for no additional cost. For an additional $250, silver and bronze sponsors will have the same opportunity. I must approve items to be distributed. Sponsors are responsible item distribution. Items may be distributed anytime after Pre-Symposium concludes on June 13th.